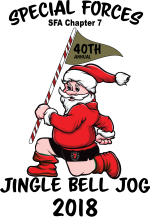 2018 marks the 40th year the Special Forces Association, Chapter 7 has held its annual Jingle Bell Jog 10k/5k running race. This year also marks the 7th year the event will be held in Northwest Florida. This year's event will be held at Santa Rosa Mall in Mary Esther FL on Dec 1st with an 8am start. 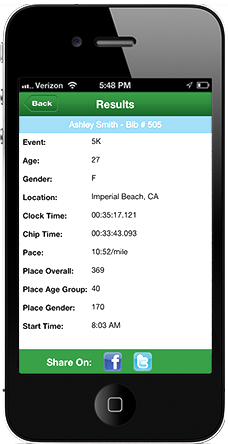 Early Packet Pickup will be Friday, 30 Nov, at Run With It in Ft Walton Beach from 11am-5:30pm. We highly encourage you to pickup your packet early to avoid long lines. Day of Packet Pickup will open at 6:30am in Santa Rosa Mall. We highly encourage you to pickup your packet on Friday. In addition to our 5k and 10k, there will be a Kid's 1/2 Mile Fun Run immediately after the completion of the 5k/10k. Kid's must be pre-registered for this event. You can find full details at www.SFA7jog.com.